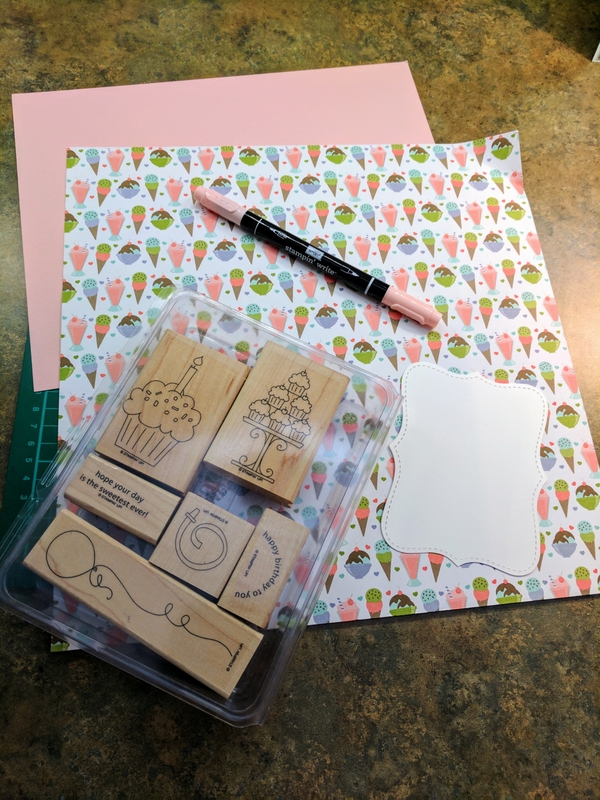 I was digging through my stamps and came across an old favorite Stampin ups Crazy for Cupcakes. 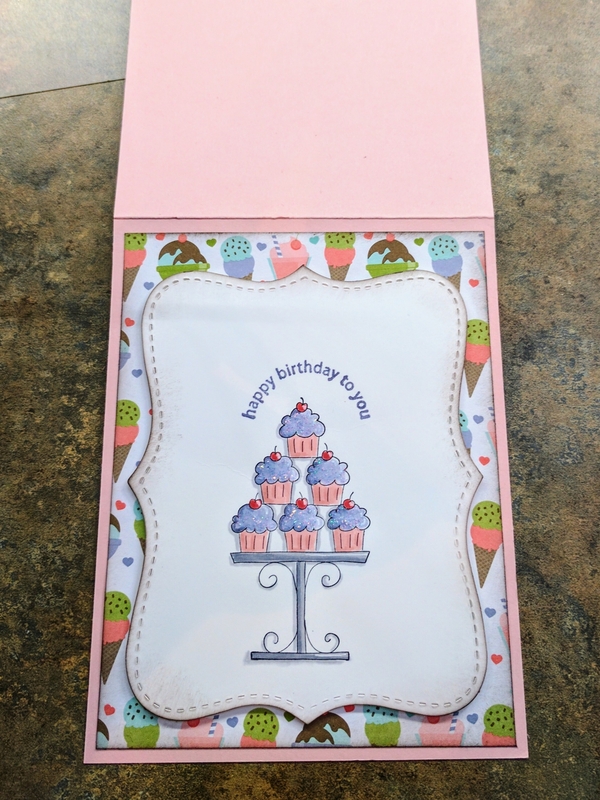 This set is so sweet and I love using a pretty paper to co-ordinate with the cupcakes. 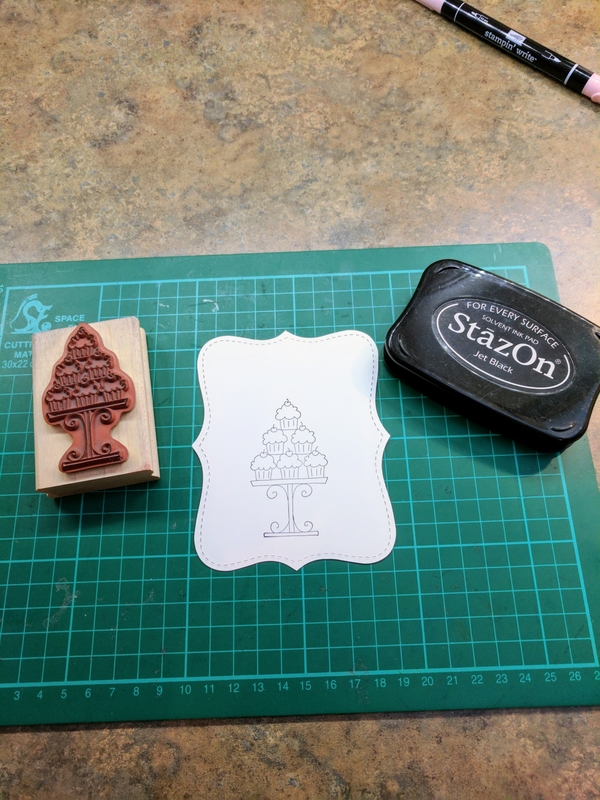 I chose a card stock in Stampin up’s Blushing Bride for the 11×4.25 card base. 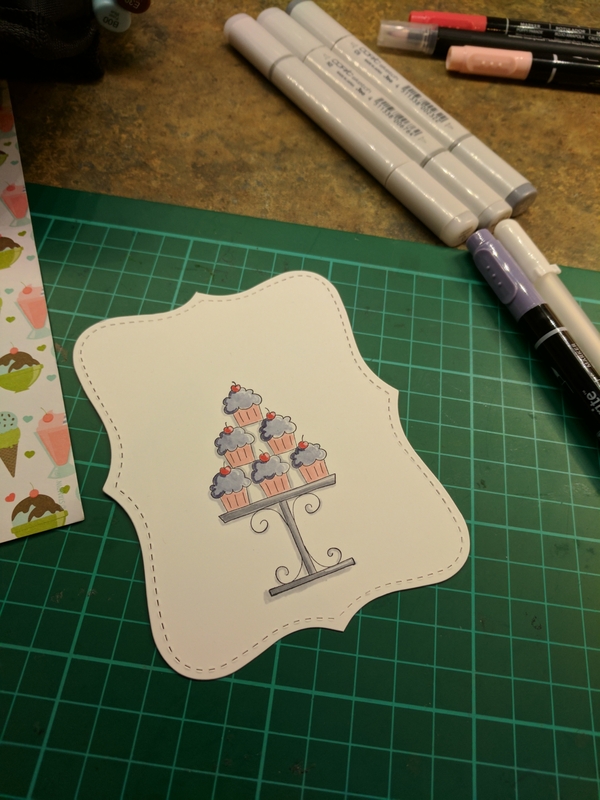 I found a retired Stampin up card stock that matched and cut it 4×5.25. 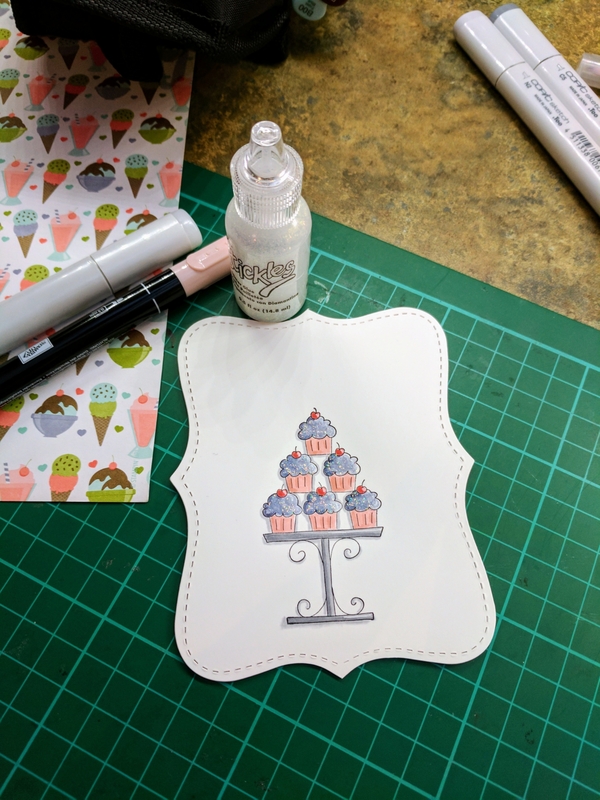 I stamped the tower of cupcakes in Jet Black Stazon ink on a Top Note die cut in Whisper white card stock both Stampin up. Then began coloring. 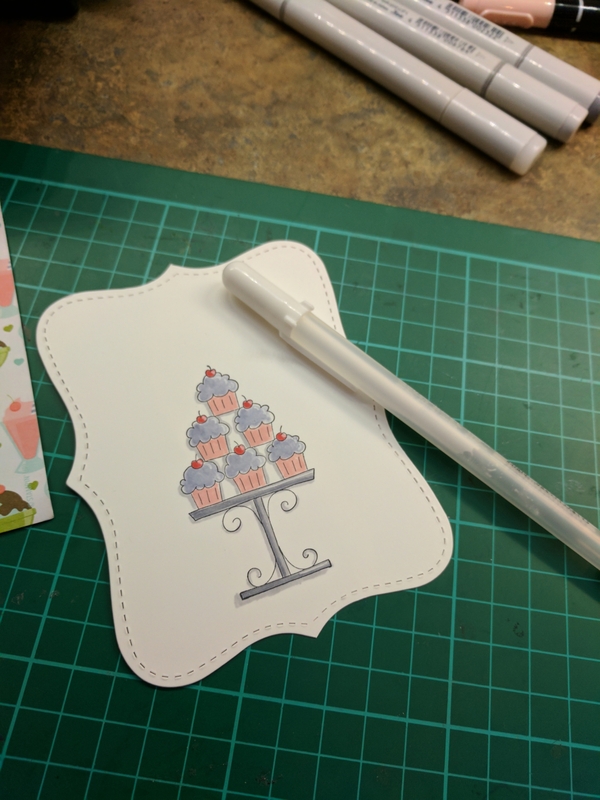 I used; Blushing Bride for the cupcake papers and Cherry cobler for the cherries. 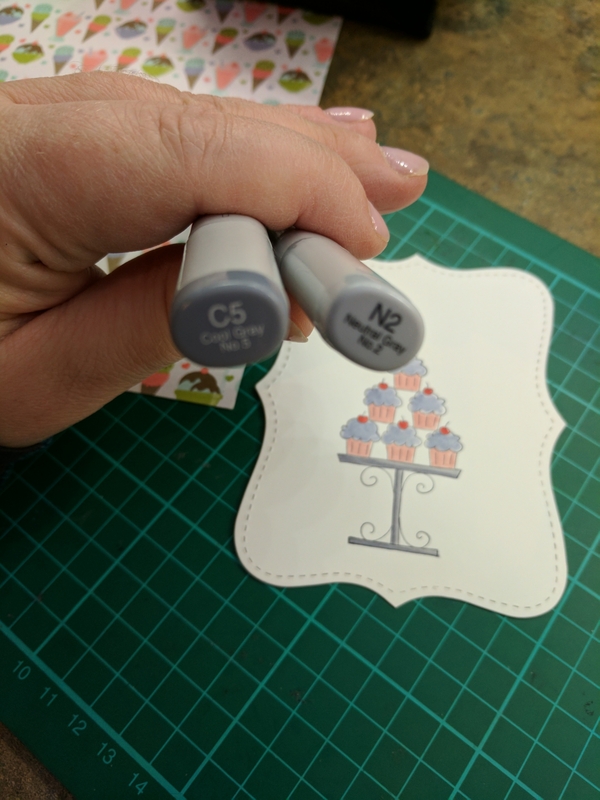 I then colored some Wistera Wonder on a clear block and used a blend pen to fill in the icing. I then very carefully (because Stazon can run with Copic markers) colored the stand and added some shadow. 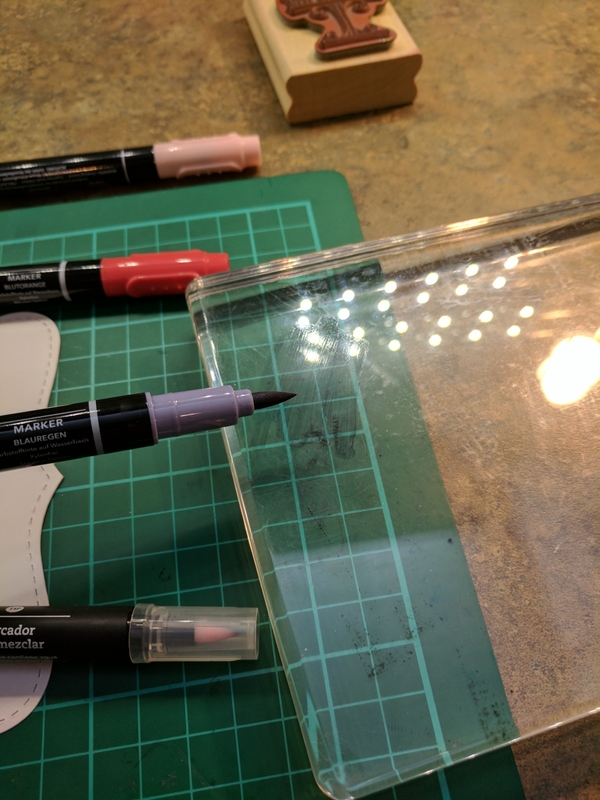 Then I went in with a white gel pen and made some highlights. Then the Wistera Wonder to make some low lights. It looks a little strange at this point but once I’ve added a layer of sparkly Stickles it evens out. 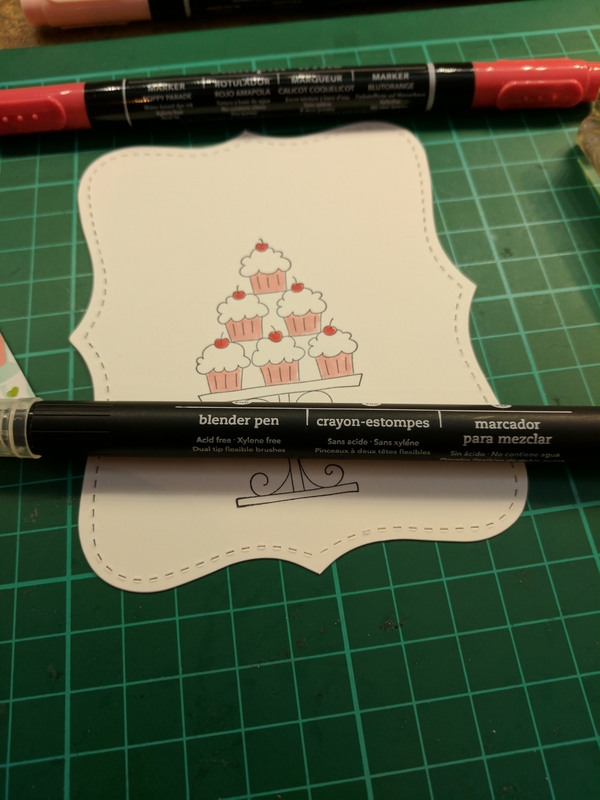 I went in a sponged the edges of the Top note and the patterned paper with Stampin up Chocolate Chip Classic ink. I put in all together using dementionals for the top layer. After stamping my sentiment (that is a tad crooked) in Wistera Wonder. 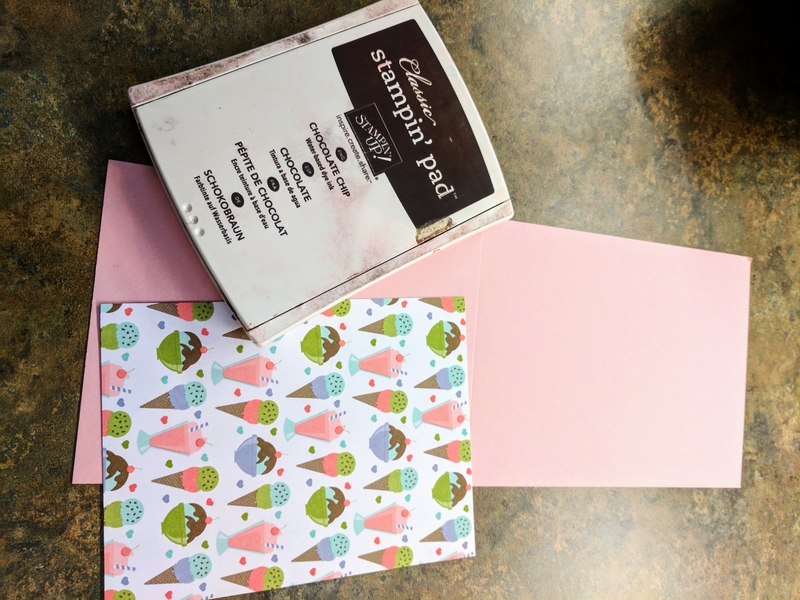 I then stamped another sentiment on the inside of the card and cut out a couple images from the paper. 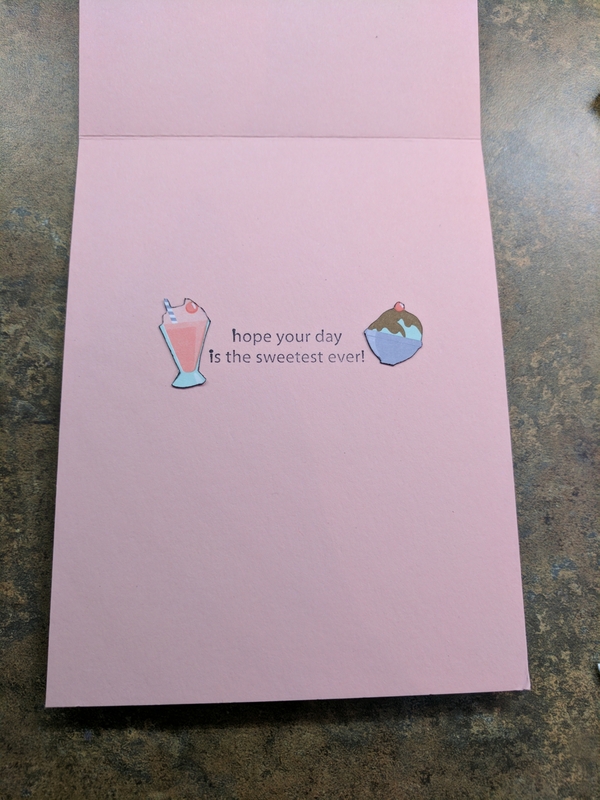 I glued them inside and my card is finished.